So my husband comes into my craft room/office and says what are you doing? I say "making party hats for cupcakes". He thinks I've lost it. 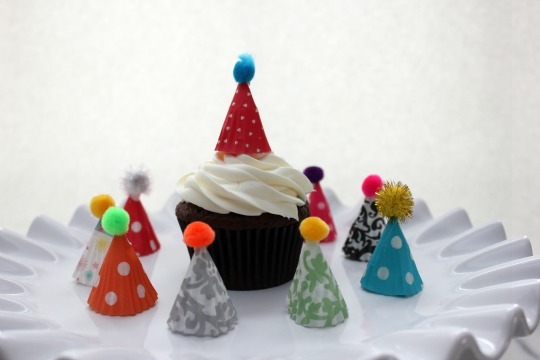 So it's only fitting that they have their own party hats. Pretty hats with colorful pom-poms. 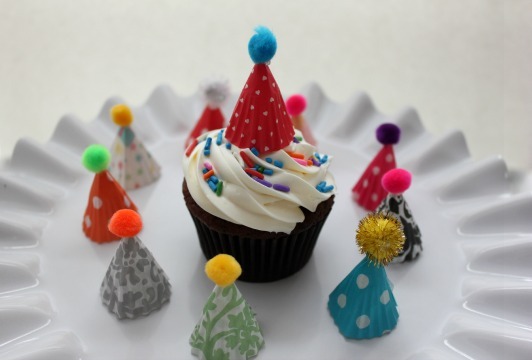 Flatten a mini cupcake liner. Fold the flattened liner in half and then fold it in half again and then one more time so you can see where the point is. Twist the liner into a hat shape and secure it with a small piece of double-sized tape. Add a tiny spot of hot glue on the tip and then gently place a pom-pom on top. Let them dry before using. 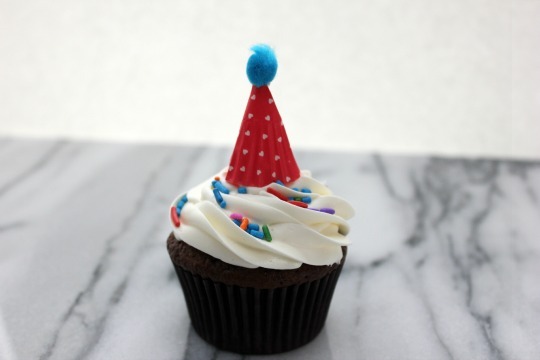 Place party hat on top of a frosted cupcake.